Each character in this novel is drawn with color and depth, and they each have varying capacities to deal with change in their small town. 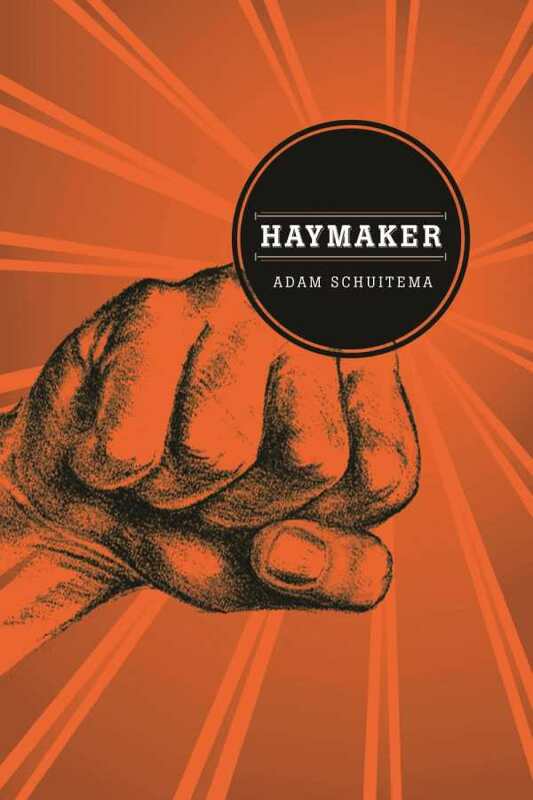 Although it has a few fighting scenes, Adam Schuitema’s novel Haymaker is not about boxing or fighting. Nor should the cover art, looking like the sculpture of Joe Louis’s fist in Detroit, mislead. This is not a sports novel. Schuitema has crafted a description of contemporary small-town life that is easily transferred anywhere in the United States. The Haymaker in this story is a town on the shore of Lake Superior in Michigan’s Upper Peninsula. Haymaker is populated by folks who fight the elements and the lack of resources to scratch out a living. They fight with each other much like the members of any family. When new people inundate the town bent on changing Haymaker into a haven for libertarians, the tensions escalate into open combat ultimately resolved, in part, by interference from Mother Nature. Haymaker is a flat-out good read. It is an especially poignant tale typical of small towns in the Upper Midwest who have seen their economic fortunes dwindle as the electronic age reaches deeper and deeper into everyday life. The story is overflowing with characters, each having their own relationship with change and varying capacities to deal with it. Roosevelt Bly is a relative newcomer to town; he ranched in Wyoming, was a shopkeeper, lost his wife to cancer, cashed in, and began a new life in Haymaker. A man comfortable with change, with the help of bourbon, he becomes a bridge from one era to the next. Then there is Donnie, who resists change, oftentimes with his fists. And Ash, who, still in her teens, is coming to terms with the changes in her life. Adam Schuitema is an English professor at Kendall College in Grand Rapids, Michigan.